On Feb. 8, Fuqua will host its 12th annual Sustainable Business & Social Impact (SBSI) Conference, one of the largest student-organized conferences held on campus. 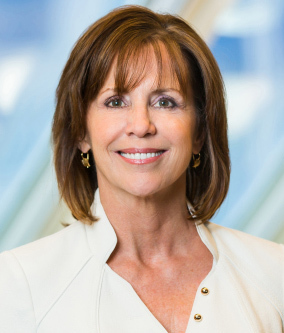 Jean Case, CEO of the Case Foundation, will keynote the conference, which has the theme “Business Tackling Global Challenges.” As one of America’s leading philanthropists, Jean Case is a passionate believer in the potential of technology to change the world for the better. She has been named among Barron’s “25 Best Givers”, the National Conference on Citizenship (NCoC)’s Citizens of the Year, and the Washington Business Journal’s Corporate Philanthropist of the Year. The conference will also feature 25+ nonprofit and business executives discussing the role of business in addressing complex global challenges like the UN Sustainable Development Goals. Join us to talk about topics like impact investing, resource scarcity, corporate activism, and responsible production and consumption with speakers from Walmart, Burt’s Bees, Eastman Chemical, Global Citizen, Johnson & Johnson, Unreasonable Institute, Ben & Jerry’s, Calvert Foundation and more. Open to students, faculty, alumni, practitioners, and the general public. For agenda details and to register, visit the conference website.